This school is now closed. Although the school is no longer actively accepting students or running its program, we feel it is important to make the historical information available to users. Please note that if a school is closed, Course Report does not maintain that the information provided is up to date nor that it is accurate. Thanks for using Course Report as your Bootcamp directory! 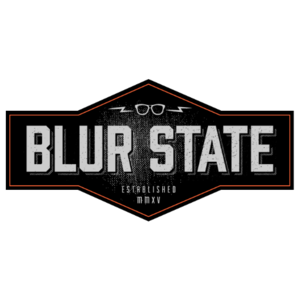 Blur State is a code school located in northwest Arkansas offering a variety of courses in subjects like Fullstack Web Development, Frontend Web Development, Mobile App Development, UX/UI, and Microsoft .NET. Courses generally run from 12 to 15 weeks and take place part-time during the week and full time on Saturdays. Blur State was launched by Arkansas alternative learning company Nerdies, and courses take place at their facility in Fayetteville. Only Applicants, Students, and Graduates are permitted to leave reviews on Course Report. Post clear, valuable, and honest information that will be useful and informative to future coding bootcampers. Think about what your bootcamp excelled at and what might have been better. Be nice to others; don't attack others. Use good grammar and check your spelling. Don't post reviews on behalf of other students or impersonate any person, or falsely state or otherwise misrepresent your affiliation with a person or entity. Don't spam or post fake reviews intended to boost or lower ratings. Don't post or link to content that is sexually explicit. Don't post or link to content that is abusive or hateful or threatens or harasses others. Please do not submit duplicate or multiple reviews. These will be deleted. Email moderators to revise a review or click the link in the email you receive when submitting a review. Please note that we reserve the right to review and remove commentary that violates our policies. Click here to log in or sign up and continue. Hey there! As of 11/1/16 is now Hack Reactor. If you graduated from prior to October 2016, Please leave your review for . Otherwise, please leave your review for Hack Reactor. Non-anonymous, verified reviews are always more valuable (and trustworthy) to future bootcampers. Anonymous reviews will be shown to readers last. Welcome to the June News Roundup, your monthly news digest full of the most interesting articles and announcements in the bootcamp space. Do you want something considered for the next News Roundup? Submit announcements of new courses, scholarships, or open jobs at your school! By clicking Verify via LinkedIn/GitHub, you agree to let Course Report store your Public Profile details. Thanks so much for taking the time to share your experience with the Course Report community! We just sent a special link to your email - go click that link to publish this review. If you would like to revise or delete a review, please email Course Report moderators. An email with these details has been sent to Blur State. 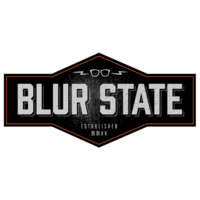 You've already applied to this scholarship with Blur State.